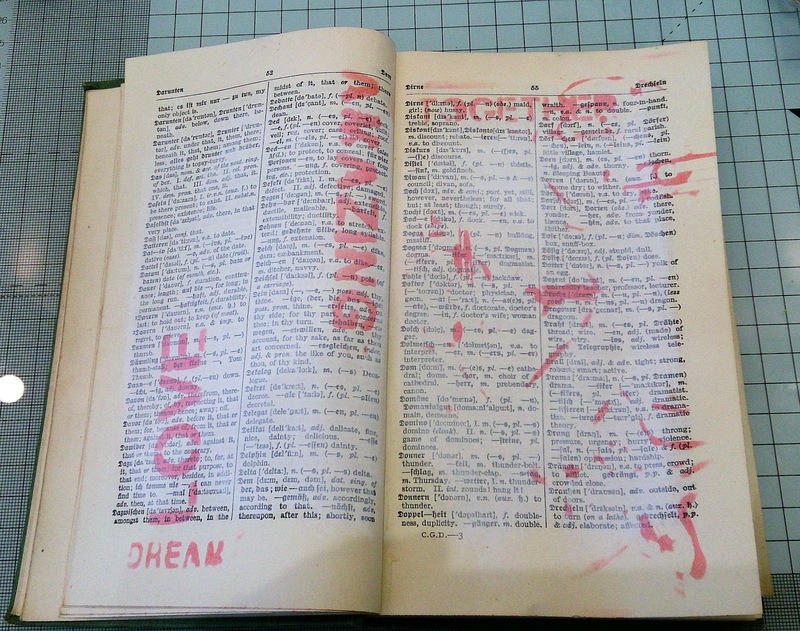 I started by gessoing a couple of dictionary pages, then stencilling through one of Olga's lovely AALL and Create stencills. Evans's AALL and Create stamps to add some hearts, and also a threads stamp from 49 and Market. 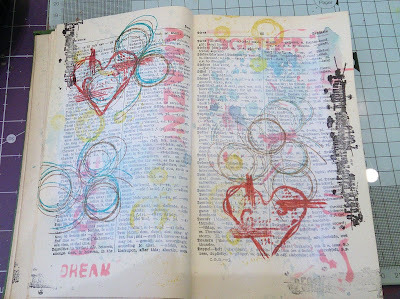 I love to stamp this with Distress Oxides with the stamping platform 'cos you can get lots of lovely colours and they are always in the right place! I love these stamps of Tracy's they are just so happy and they make me happy too! I ended up just using one of the pages. I gave it a few layers of stitching and I just need to decide where I'm going to use it. 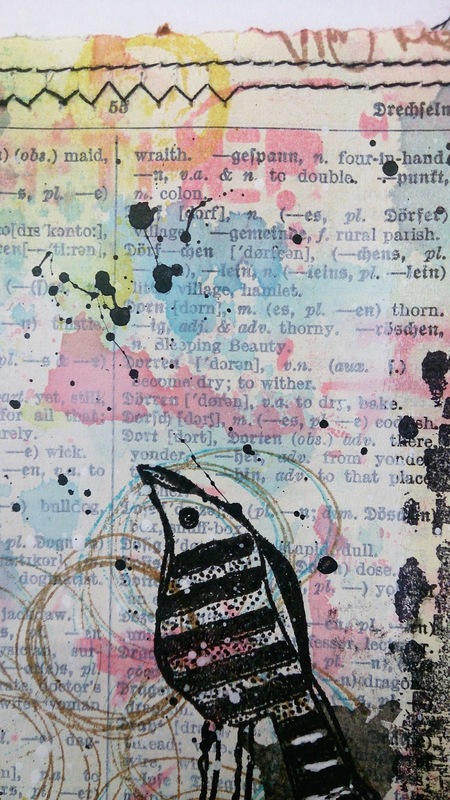 It's not my usual style at all but I do like it! It looks fabulous! Very artsy! Happy June for you! 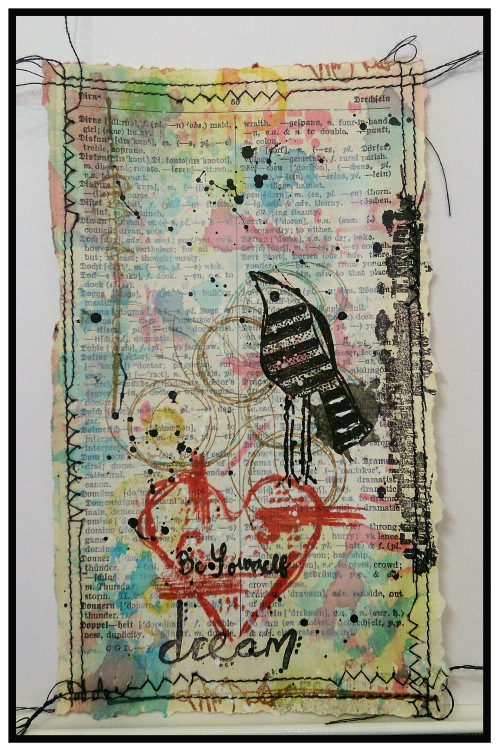 Fabulous creation Sue, Tracy's bird sits so happy upon your altered page. I like it too! I don't think you can go wrong when you start with a book page... and you've used those stamps beautifully. Love the stitching detail too.